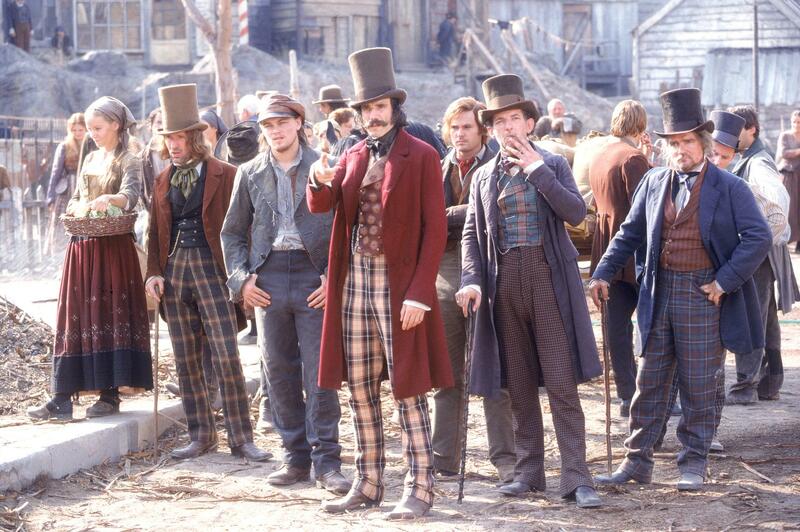 One of the best known scenes in Martin Scorcese’s 2002 movie Gangs of New York is that which depicts the enlistment of Irish emigrants ‘straight off the boat’ into the Union army. The seemingly unsuspecting men are quickly dressed in uniform and packed off for the front, even as those unfortunates who have gone before are brought back in coffins. This scene is one of the most influential in dictating modern memory of Irish recruitment into the Union army. The popular image of thousands of Irishmen, ignorant of what they were getting into, joining up the moment they stepped ashore is one I encounter frequently. But how true is it? There is little doubt that many Irishmen enlisted in the Union army very shortly after their arrival in the United States. There is even some evidence of illegal recruitment from Ireland itself, although this appears to have been extremely rare. When Irishmen were ‘duped’ into joining the army, it was unfortunately often the case that it was other Irishmen – like Patrick Finney– who were the ones trying to profit from their enlistment. It is also open to question just how unaware the Irish landing in America were of the realities of the American Civil War. The sheer number of Irish in the United States meant that there was a constant flow of information about the conflict crossing the Atlantic. Many of these letters- written before the age of censorship- gave explicit detail of what was occurring in America between 1861 and 1865, and of what service in the Northern armies meant. 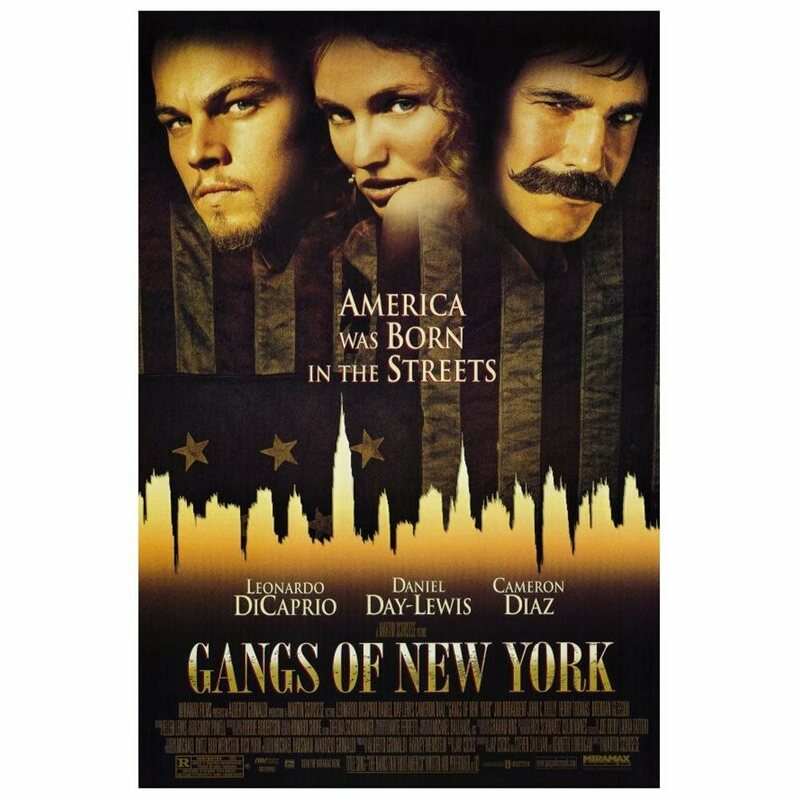 The more I investigate the Irish experience, the more apparent it is that the type of incident portrayed in Gangs of New York rarely, if ever, occurred. Far from being duped, it was much more likely that many of these men had travelled to the United States with the express intention of joining the military, in the hope of benefiting from the financial rewards available for doing so. This was the primary motivation for Irish enlistment in the Union Army from at least 1863 onwards. These men were not stupid- they came from a country where enlistment in the British Army for economic reasons was commonplace, and they came informed about the Civil War. The New York Irish-American Newspaper of 23rd July 1864 presents an interesting counter-point to the scene depicted in Gangs of New York. It outlines that serious consideration had in fact been given to opening a recruiting station at Castle Garden, where Irish and other emigrants arrived in America. However, they decided against it, as it was thought it would ultimately prove counter-productive. 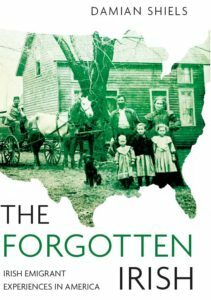 The main reason put forward for this was that Irish-American and other communities would quickly inform those at home as to what was going on, discouraging future prospective emigrants. This would impact not only the economy, but ultimately also enlistment into the military. You can read the Irish-American article below. New York Irish American 23rd July 1864. No Recruiting in Castle Garden. Damien Shields at the Irish in the American Civil War blog has a post about the scene in the Martin Scorcese movie Gangs of New York where Irish immigrants are recruited right off the boat from Ireland into the Union army. While the scene is one of the most intriguing in the movie, Shields argues that this type recruitment “rarely, if ever, occurred.” Instead of recruiting Irish immigrants off the boat, US authorities were leery of even opening a recruiting station at Castle Garden where Irish immigrants arrived. The “right off the boat” is just a stereotype. Some scholars have traced the nickname “Mick” for Irishmen in the U.S. Army about 1850-55. Irishmen were plentiful in the regulars, especially the artillery. After Fort Sumter the editor of the Irish-American checked his subscribers and found Sergeant Renehan of Doubleday’s battery was on his rolls. Absolutely. That is interesting regarding ‘Mick’ I didn’t know that but it makes sense- also fascinating about Renehan. The Irish in the regulars is something that should get a lot more attention, it was packed full of them even during the war. Things like the subscribers for the poor of Ireland in 1863 show us that. The Irish in the 19th century regular US military would be a great topic for a book! Thanks – another myth exposed! Great post and thanks for sharing the document! I like to use clips of GoNY in my survey — with a lot of careful framing, of course — and I think the document will be great for generating an interesting discussion not only about history, but also historical film and the myths of history. Many thanks for the comment- I am glad you will find it of use! It is interesting that the letter almost directly counterpoints the image portrayed in the film. I am looking forward to following your blog as well! Yes the Irish were in the regulars. During the Mexican War, the War Department sent Robert Porter (an American with Anglo-Irish roots to Philadelphia to recruit Irishmen coming off the boat for service in Mexico. Porter was their logical choice since he was captain of the Pittsburgh Hibernia Greens renamed the Irish Independents, Company I(, 2nd Pa. Vols. Naturally Porters connection t0o the HG’s was political. His father was a Democrat judge in Pittsburgh and Robert was a lawyer. There were about 39 Irish born men in the Fort Sumter garrison at the time of the war. Another Irishman was James Gibbons from Galoway. He was serving his second hitch at Fort Sumter. By the way, the editor of the New York Herald newapaper senta reporter to the main recruiting station the day after Fort Sumter was hit by the Confederates.The reporter was tasked with checking the recruiting roll for the previous six months. Much to the reporter’s amazement, seven out of ten recritis going bac to October of 1860 were foreigns. The reportersalso stated that the Irish were first, followed secondly by German?Austrians! That it is fantastic Mike I must have a read of that- sounds about right! A lot of the Germans immigrated Germany after the failed revolution of 1848. There was a no “Germany” but a collection of of smaller Germanic states. One of the things the Revolutionaries wanted was a united German state, a union if you will. This is one of the reasons they fought for the Union as it was was the same ideology that forced a lot of them to leave their countries in the first place. Concerning the prevalence of the term “Mick” in the U.S. Army, I recall reading a letter from a sergeant in the 69thNY back to his friends in New York stating “Yes I’m one of Colonel Corcoran’s “Micks…” The author placed “Micks” in quotes indicating to me the sergeant was new to the term (probably from a Regular sergeant) and thus the sergeant was not to familiar with the term and his friends back in NYC weren’t either. So the term was used to insert levity. Fascinating as ever- there really is some superb information in the letters the men wrote home. I am working on a project at the moment to try and get quite a number into the public domain, starting with New York Irishmen. It will be interesting to see if I come across anything similar in them. Ahhh, Mike Kane & Damian Shiels… may your wells of knowledge never run dry. I am so appreciative of the efforts of both of you. Well Damian what did you think of the Robert Porter movement to Phiily to recruit Irishmen? You see in the Mexican War, many eastern states were against participating and dragged their feet about providing volunteer regiments for Mexico—-Massachusetts leading the way. Mexico. Porter’s recruits were destined for the Regulars. The U.S. Prez and I think it was Tyler? appointed two Catholic chaplains to serve with the U,S, Army. This was in retaliation for the San Patricos with Mexico. The APA (American Protestant Association) had formed in 1843 and had some influence with the newspapers. Eventually the Nativist movement would gain much momentum and led to the 1855 movement to disband all Irish militia companies. Of course the Nativists gained so much power that they formed their own national party and nominated Millard Fillmore for prez. Fillmore was the last American Whig party candidate to become prez. The rise of the Republican party disintegrated the Whigs and Fillmore jumped to the American party—aka the KNOW NOTHINGSI Part of their hidden agenda was to disband Irish militia companies and organize All American companies. This is the reason why Irish militia companies became joined at the hip with the Democratic party. Some states were successful. Massachusetts disbanded most of its Irish militia company while leaving German companies alone. These Irish companies became literary societes and became the bul of the 9th and 28 Mass in the Civil War. This proves the point that there’s no fight like an old fight from the old neighborhood Anglo-Saxon versus Irish Celt.